Travel back to 1970s Berlin — a time when the city was split in two and West Berlin was “cut off from its world, art and culture, dying with no hope of retribution” — on this 3-hour tour. Together with a specialist guide, you’ll navigate the city on foot and by public transport, in search of the Berlin that inspired David Bowie’s seminal Berlin Trilogy. See Hansa Studios, where ‘Heroes’ and ‘Low’ were recorded, as well as 155 Hauptstrasse, once home to Bowie and Iggy Pop. You’ll also visit Potsdamer Platz, Zoo Station, Neues Ufer Café, and other culturally significant sites. Choose from a morning or afternoon tour, and then make your way to the Berliner Ensemble theater near Friedrichstraße station. Here, meet your guide by the statue of Bertolt Brecht, a German playwright whose play Baal was adapted by the BBC in 1982, starring Bowie in the title role. Over the next three hours, you’ll travel around Berlin, visiting sites associated with Bowie and learning about Cold War-era Berlin. Pass by crumbling sections of the Berlin Wall and buildings studded with bullet holes, and gain insight into life in the divided city during the late 1970s. Hear about Bowie’s attachment to his adopted dystopia of Cold War angst, and discover how it influenced his music. Stroll by the legendary Hansa Studios, where many fans believe Bowie’s music reached its creative peak, and visit Zoo Station, Potsdamer Platz, and other places of cultural significance. Your final stop of the tour is 155 Hauptstrasse, the apartment building in Schöneberg where Bowie and Iggy Pop once lived. See the plaque dedicated to Bowie, and then perhaps finish with a drink (own expense) at Neues Ufer, a nearby café once frequented by Bowie. We did the David Bowie tour with Peter who was an amazing guide and was full of enthusiasm and who had a font of knowledge about Bowie. We spent 3 wonderful hours travelling around Berlin and got a real feel of the city that inspired him to write and record his famous trilogy. We visited various landmarks including Hansa studios , Potsdamer Platz , and 155 Haupstrasse. When the tour was over we spent a couple of hours at Neues Ufer bar where we met a lovely bar man called David ! who was from Frankfurt. All in all a truly amazing and spiritual experience. This is a must for any Bowie fan . We had a fabulous time seeing all of Bowie’s haunts on this tour. Our guide, Darrell, was great and was as passionate about the man, his inspirations and music, as we were. He went out of his way to accommodate us after being waylaid in our original meeting due to the Berlin Gay Pride events. A fantastic experience which we highly recommend if you are a Bowie fan. Thank you! It was a very interesting tour. Another way of enjoying this amazing city! 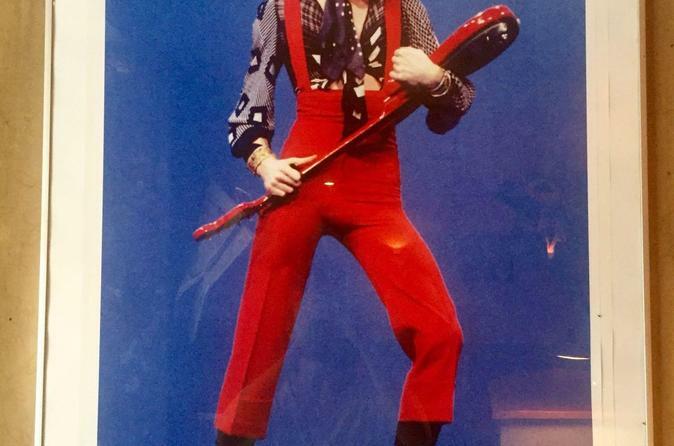 The Bowie tour was a exploration of the city and cultural influences that inspired Bowie's works. A must for any Bowie fan who wants to know more about the rich intertwining history of Berlin and Bowie. 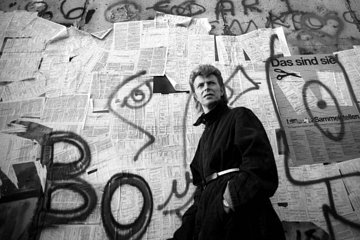 The Bowie tour was not just an insightful tour of Bowie's musical influences and important locations during his career in Berlin, but was told within the cultural and historical context of Berlin, Germany and the world at that time. This made it a really interesting tour and exploration of the city. Highly recommended even for those that aren't super fans. I’m a huge Bowie fan so I was really excited to take this tour — thankfully, it did not disappoint. Our guide Peter knew a ton about Bowie, his musical influences and the significance of the so-called Berlin years, and he did an incredible job of explaining Bowie’s music in the context of the Cold War. We saw the legendary Hansa Studios, Potsdamer Platz, sections of the Berlin Wall, the Topography of Terror, Zoo Station and other culturally significant sites. Peter had a little speaker with him so we could listen to songs at relevant points on the tour, and he had various other props — including Christopher Isherwood’s “Goodbye to Berlin” and an old map of divided Berlin — to help us better understand Cold War-era Berlin. My personal highlight has got to be standing in the entrance of the Schöneberg apartment building where Bowie and Iggy Pop both lived. I definitely recommend this tour to any Bowie or music fans visiting the city.